Brisbane Bullion presents the 1oz Kookaburra Silver Coin (2017) by the Perth Mint in a roll of 20 coins. The 1oz Kookaburra Silver Coin is a 999 fine silver, Australian legal tender coin with a face value of AUD $1.00 that was first released in 1990. 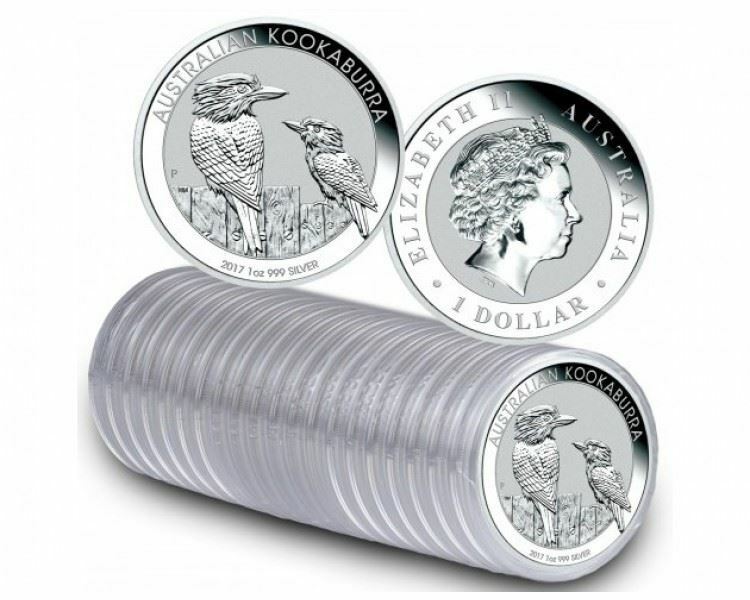 The 1oz Kookaburra coin is also available individually, in a tray of 100 coins, and a carton of 300 coins.